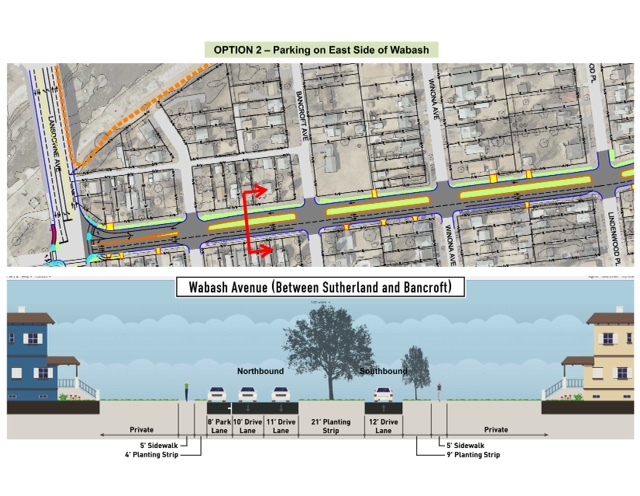 A Town Hall meeting for the entire neighborhood has been scheduled to gather additional input regarding planned changes to Wabash Ave.
We are confirmed for March 26 at 7pm at Timothy Lutheran Church gym, 6704 Fyler, corner of Fyler and Ivanhoe. Parking is available in a lot across from the church. You enter the lot on Ivanhoe. Of course street parking is also available and there is a very small lot immediately outside the gym. Great Rivers Greenway will be extending a bike path south from Forest Park along McCausland and Wabash to the Shrewsbury Metrolink Station in the near future. In the Lindenwood Neighborhood, the bike path will run along the west side of the River Des Peres As part of the project, traffic lanes on Wabash will be reconfigured between Lansdowne and the Ellendale Bridge. 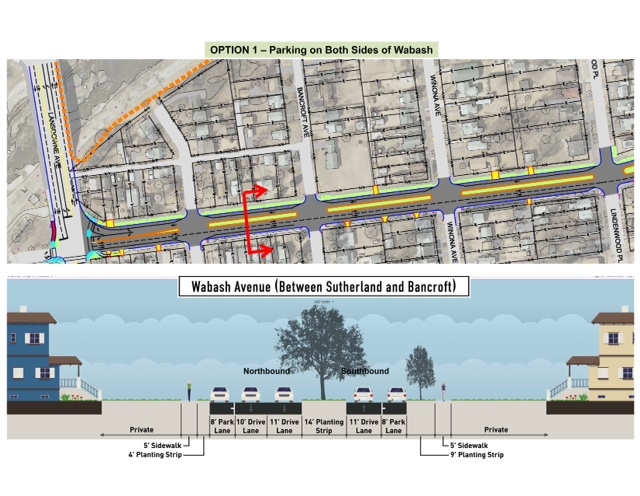 This will involve changing the number of traffic lanes on Wabash from four lanes with two lanes heading north and two lanes heading south to three lanes with two lanes heading north and one lane heading south. 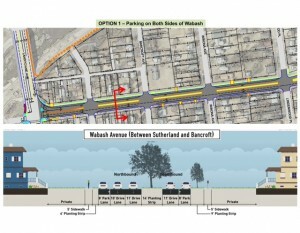 Additional changes include how the median on Wabash will be handled and how parking will be handled on either side of Wabash between Sutherland and Bancroft. Two options are being discussed. See attached visual drawing as well. Option 2: Provide parking only on the east side of Wabash between Sutherland and Bancroft. Please contact me by phone or email with your vote for Option 1 or Option 2 or to ask any questions.